Earn miles by presenting your airline membership at check-in or by earning Gold Points® and converting them to miles with Club CarlsonSM. When you check-in. 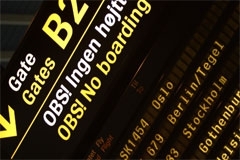 Earn miles directly into your airline membership program by presenting your airline membership card at check-in. Earn 500 airline miles per stay at participating airlines. A. Redeem earned points for miles anytime online by redeeming points in increments of 2,000, 50,000 and 100,000. B. 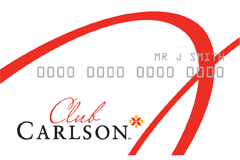 Set up your Club carlson online account and automatically convert earned Gold Points® to miles. 1. Go to 'My Account' and sign in. 3. Scroll down the page to 'Earning Preference', choose 'Miles', then select the 'Airline Program' and enter your 'Frequent Flyer/Program number'. Each time your Gold Points® balance reaches 10,000 points, points will automatically convert to miles: 10,000 points = 1,250 miles. Not a Club Carlson member, join today.